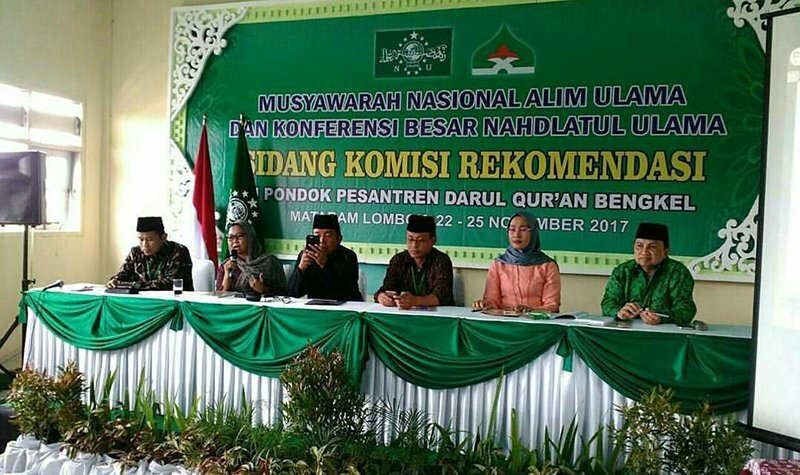 MATARAM, Lombok, Indonesia: From 23 – 25 November 2017, the world’s largest Muslim organization convened 1,200 religious scholars for a National Assembly of Ulama and Major Conference, whose primary agenda was to strengthen the values of nationalism, counter religious extremism and improve the economic welfare of all sectors of Indonesian society. 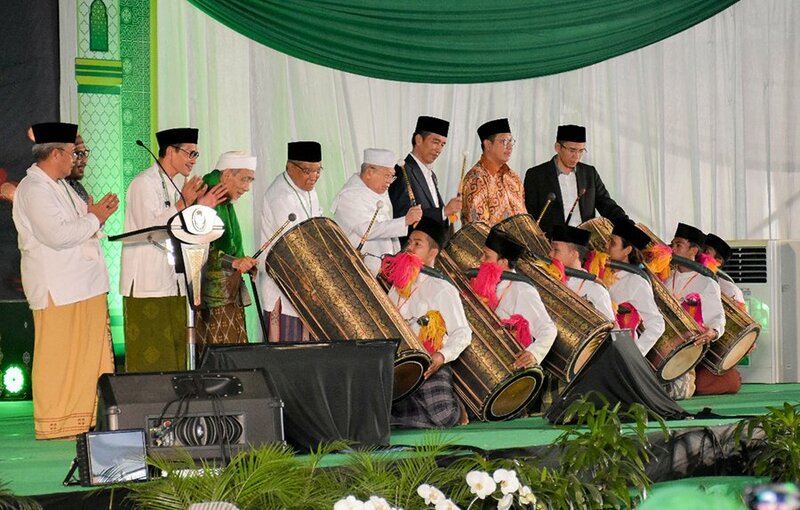 Attendees included Indonesia’s President and Vice President; the chiefs of Indonesia’s military, national police and state intelligence agency; numerous cabinet ministers; and foreign emissaries, including ambassadors from Iran and Saudi Arabia. “The government needs to act decisively to overcome the threat of radicalism by fostering a humanitarian approach” (Prevention and Combatting Radicalism, point 1); “Political parties and politicians must stop exploiting religious sentiment as a weapon in their political competition. The manipulation of religious sentiment in a constantly recurring power struggle—to obtain 5-year terms in office—constitutes highly irresponsible behavior that threatens the very life of our nation” (point 5); “Law enforcement officers must guarantee citizens’ constitutional rights, refuse to buckle under to pressure from radical groups and firmly crack down on: a) any illegal acts conducted in the name of religion, especially hate speech and incitement to violence, so that [sectarian hatred and violence] do not spiral out of control; b) the use of religious sentiment as a weapon by political parties and politicians, so as to deter such behavior” (point 6). 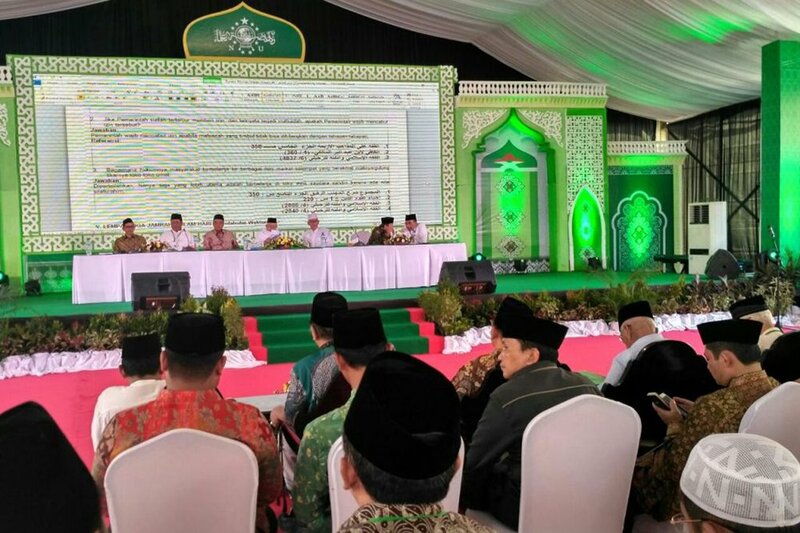 On the international front, the NU welcomed recent statements by the government of Saudi Arabia that it wishes to return to moderate Islam; invited the government of Saudi Arabia to work with the government of Indonesia to bring this about; and called upon the government of Indonesia to encourage a successful transition to moderate Islam in Saudi Arabia, in harmony with the mainstream understanding and practice of Islam in Indonesia.